Applicable people : Designer, Business-man, teacher, students etc. It will be your good helper when making notes, drafts or doing the math. Also you can leave important message for your family members with this on table, desk, refrigerator. Color: Assorted, any color would be provided at random as per availablity. 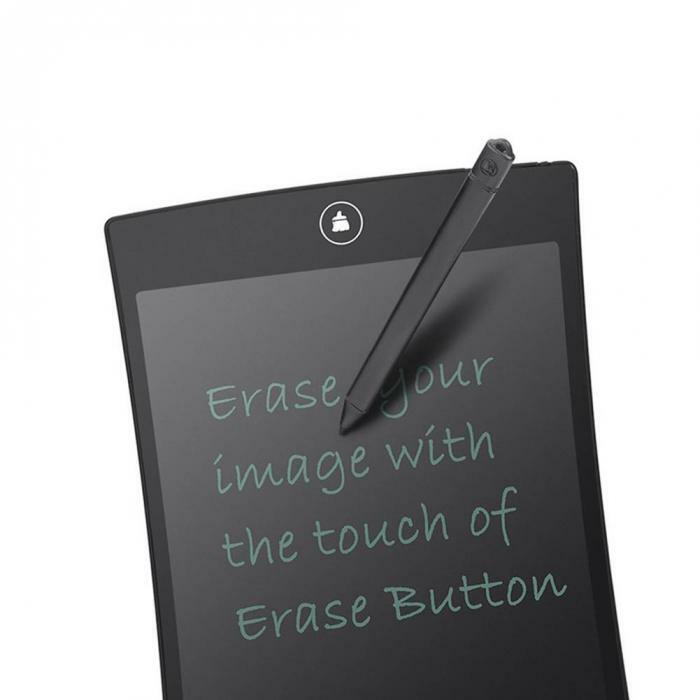 Built in sealed button battery can be replaceable. 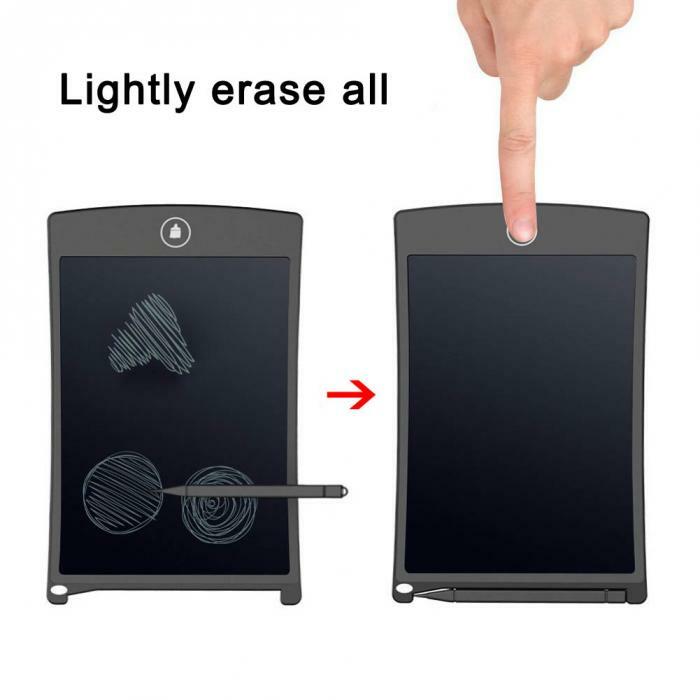 LCD writing surface is easy to clean and maintain. 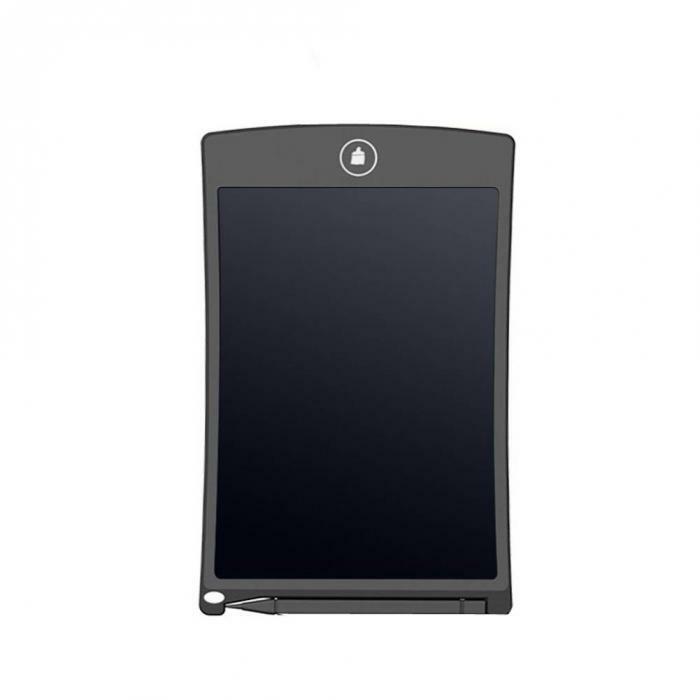 Ultra thin and light,fits easily into a purse, scheduler, briefcase or backpack. 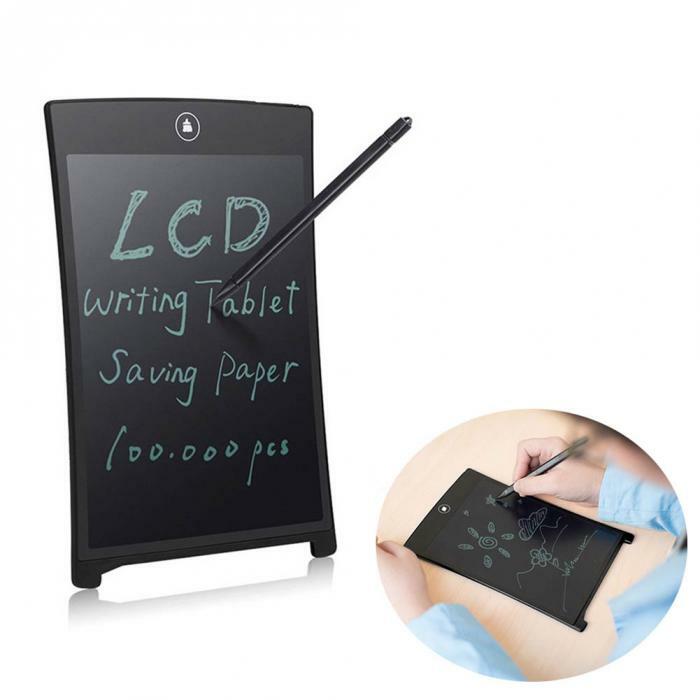 With 8.5/12 inch LCD screen, you can draw everything to show your imagination or education content. 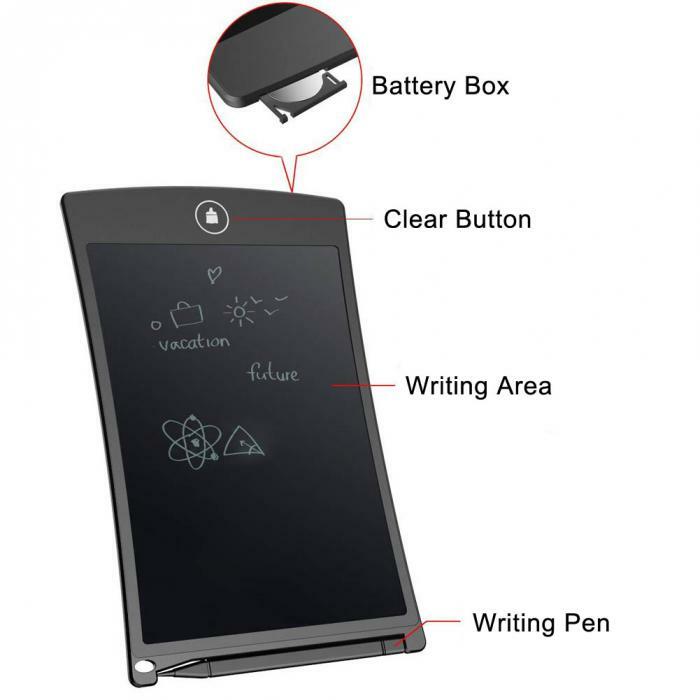 The case and LCD are made from durable plastic materials, safe for school use and all around the office, house, and car . 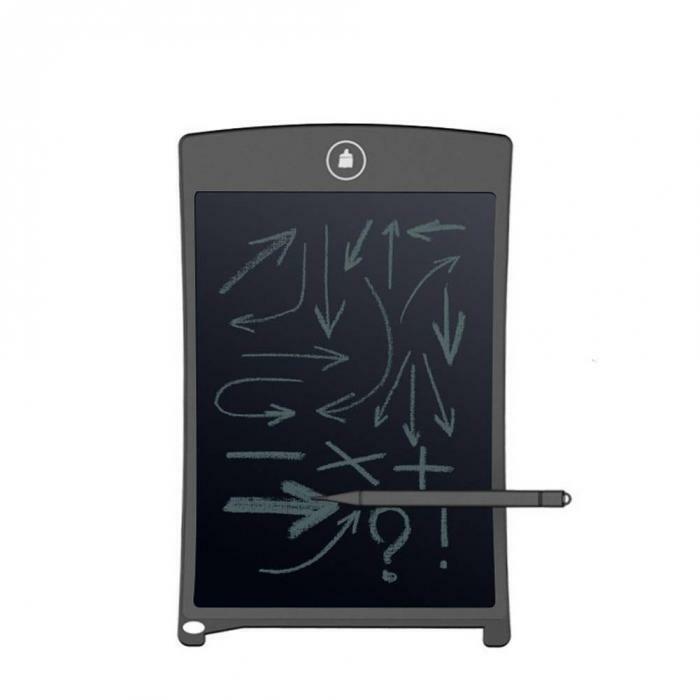 The Handwriting Tablet is an ultra 0.18" thin and is easy to take with you in a purse, scheduler, briefcase or backpack. Do not let board soak in any liquid. Do not use sharp stuff to touch surface.